Here in this topic or tutorial you will know about, how to check or calibrate Xiaomi Redmi Mi 2 Touch screen using secret codes? Redmi 2 touch screen digitizer test codes to test your Android Mi phone touch screen whether it's working good or not. 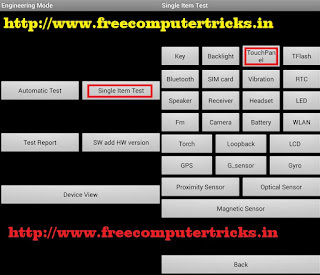 The below is the Redmi Mi 2 (2014818) Touch Test and Engineering Mode Codes. How to test Touch Screen Using Engineering Mode? 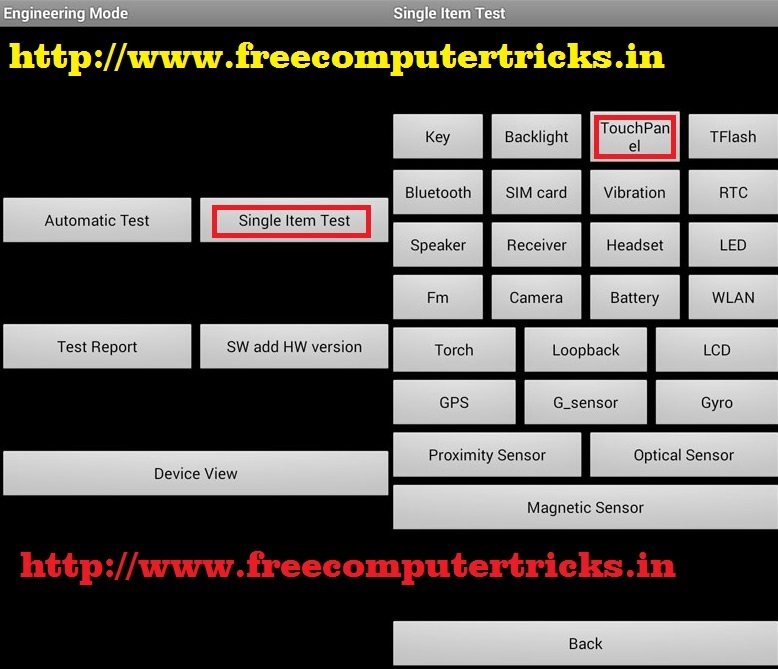 To calibrate or check the touch screen you can use the Engineering Mode codes on your Redmi 2 Android smart phone, the below is the step by step process to touch test on the Redmi 2 phone. 1- Dial *#*#64663#*#* For Engineering Mode. 2- Then touch on "Single Item Test"
3- Now touch on "Touch Panel"
4- Then start the touch calibration and then do touch test.